My hometown of Detroit has been through some tough times recently. But things are slowly changing and the city I love is getting back on its feet. One term I keep hearing in relation to this revival is ‘rust belt economics’. But with no idea what this really meant, I decided to find out more. Determined to get to the bottom of it, I decided to go along to USA Today’s One Nation event, which took place last week in Detroit. Here a ton of really interesting speakers were talking about big issues like immigration, innovation, jobs and the economy. I have to say, I did have a few reservations. You tend to hear a lot of the same things at the moment - people saying stuff like: “Detroit is booming and the city is on the brink of its greatest comeback”. And, although there’s some truth behind this, it’s so embedded into conversation, it can sound a bit rehearsed. What I needed was fresh statistics, new stories, and an honest approach to tackling the challenges facing Detroit. To my delight I got all that and then some. Where is the ‘rust belt’? The term refers to the North-eastern states of the US that have faced an economic downturn due to a shrinking industrial sector, a decline in population, and urban decay. It includes Ohio, Minnesota, Indiana, Michigan, Pennsylvania, Iowa, and some parts of New York (previously called the ‘manufacturing belt’). In the 20th century this area was home to lots of large manufacturing plants specializing in consumer goods and the transport of raw materials. The region provided easy access to the Great Lakes, to America’s road network, and the railway system. The manufacturing belt continued to thrive as many immigrants came to these cities to work. However, the economic decline and rise of the ‘rust belt’ came as many of these industrial jobs relocated south and to other countries that could provide labor at a much lower cost. Innovation in automation also lead to a large number of jobs being lost. Since then, these decaying towns have seen a revival through entrepreneurs looking for cheap commercial real-estate and affordable living. Many former abandoned manufacturing plants are being transformed into efficient workspaces and residential units. This report, released last month, showed that funding for new startups was at its highest in the ‘rust belt’ region. This has lead to an increase in the number of 24- to 35-year-olds living in these cities. Detroit alone now has a 97% occupancy level in its downtown and midtown areas. 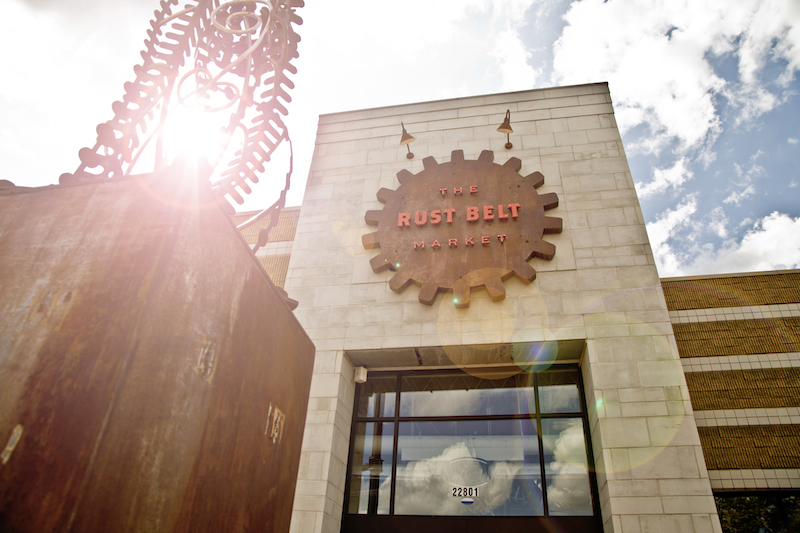 So, things are changing in Detroit and in the wider ‘rust belt’ region. There’s a lot of enthusiasm and innovation, but it’s important that the kind of people that made original manufacturing belt a success, don’t get left behind, which is a real risk in any supposed renaissance. More generally, I think the ‘rust belt’ is an important idea. It shows us how economies rise and fall and rise again; how even after such a decline, new opportunities can come about. It speaks to a sense of hope and optimism, which all too often gets forgotten in the way the economy gets talked about. 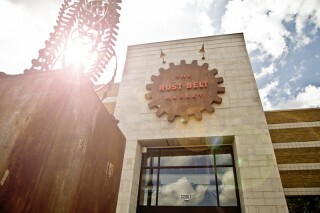 The main image is from 'The Rust Belt', a new game from Galvanic Games.